Normal operation of an HVAC system will lead to a buildup of materials in the air vents and ductwork. Professional air duct cleaning services reduce the harm caused by hazards that can infiltrate your air supply. Dust Doctors provide high-quality HVAC cleaning services to the Twin Cities area of Minnesota. Let's examine five hazardous items that build up inside your ductwork and the effects they have on your home and health. Dust is an unavoidable nuisance in our daily lives. It consists of dead skin cells, fibers, minerals, and other natural environmental materials. The ductwork and air vents of your HVAC system buildup with dust during normal operation. Over time, this can become a hazard when built up in your ductwork. Excessive dust can cause health problems, unclean air, and clog components reducing the airflow needed for efficient operation of your furnace or air conditioner. Outdoor and indoor items are easily sucked into your air vents causing debris to block your ductwork. 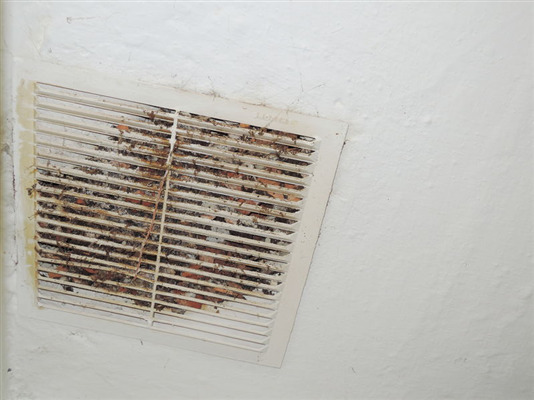 Small pieces of leaves, hair, soil, and other environmental components contribute to dirty air ducts. Regular cleaning of your HVAC system will remove the debris and keep your air clean and system functioning optimally. Another hazard that can build in your ductwork is mold. Moisture that comes in the form of rain, snow, or humidity can cling to dust and debris in your air vents allowing a favorable environment for mold growth. If you smell mildew or suspect mold in your air ducts, call an expert as soon as possible to clean your HVAC system. Mold is extremely dangerous to humans, especially when inhaled. Both outdoor and indoor air is inevitably circulated through your home. Allergens like pollen and pet dander collect in the ductwork of your heating and air vents. If you suffer from allergies or respiratory illness, duct cleaning will keep these irritants at low levels. To safeguard your home from hazardous materials in your ductwork, call Dust Doctors. We provide high-quality HVAC and ductwork cleaning services in the Twin Cities area. We believe in helping our customers maintain excellent airflow and quality at an affordable price. Experience the difference duct cleaning can make in your home and call us today at 651-319-9777, or you can message us on our contact page.